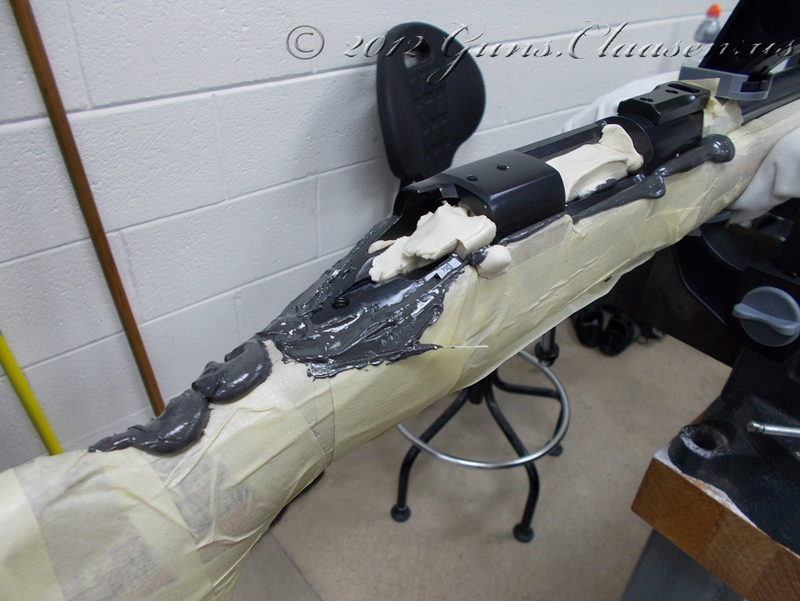 This is the last part of this project for this semester. 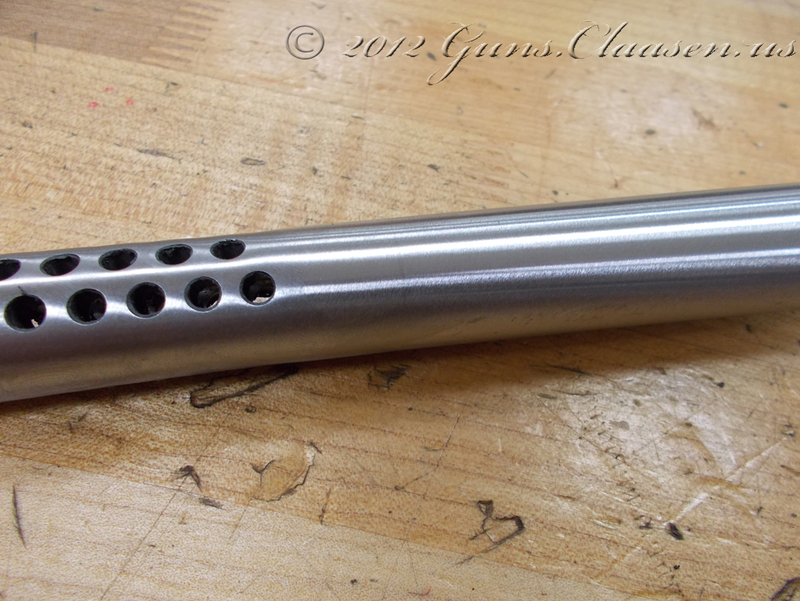 The final step for the barrel is to install a muzzle brake. 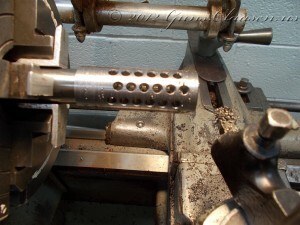 Normally, a muzzle brake is not really used on a small caliber rifle like this but I had already finished the crowns on my Mauser and FN projects. 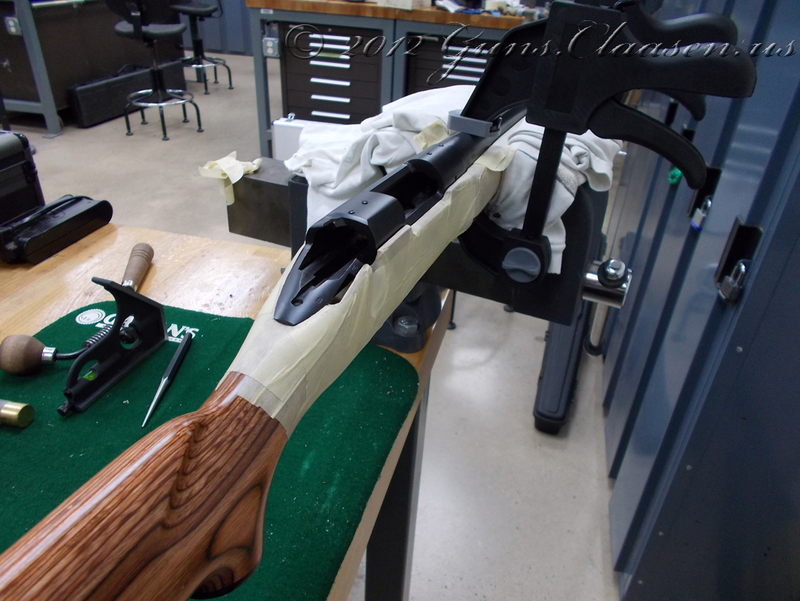 Originally this rifle was just going to get a crown but I messed up on an order to Brownell’s and ended up with this one. 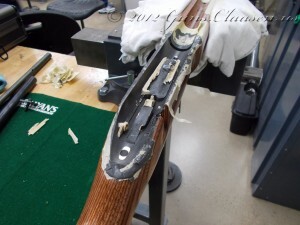 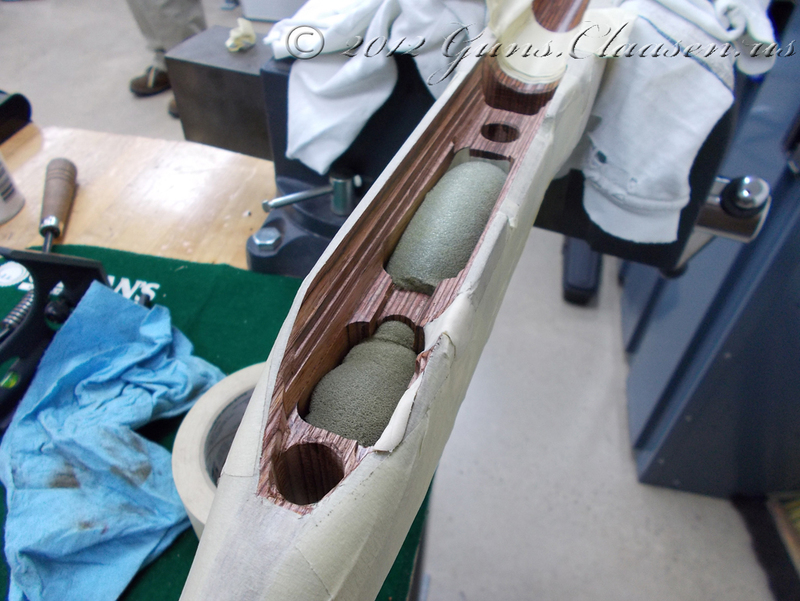 The first step was to cut down the barrel and thread it for the brake. 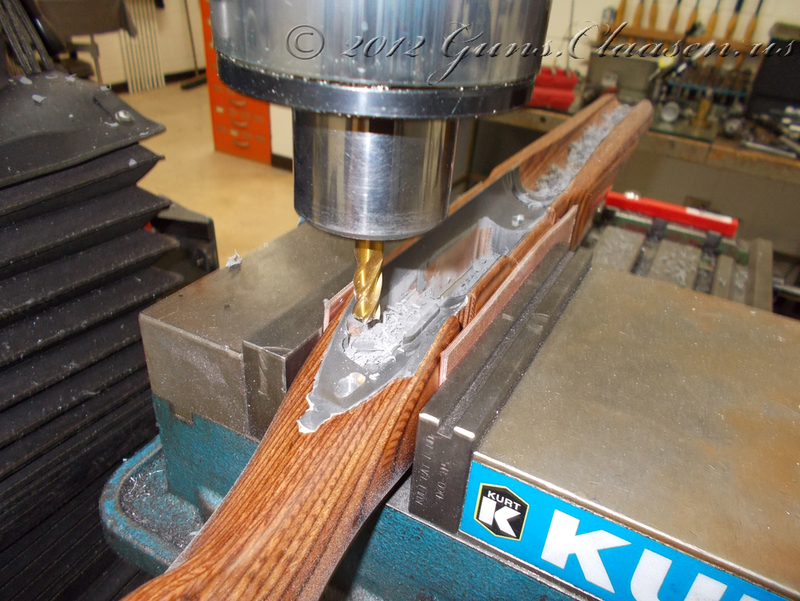 Yes, this is a rough cut so I just do it with a hacksaw. 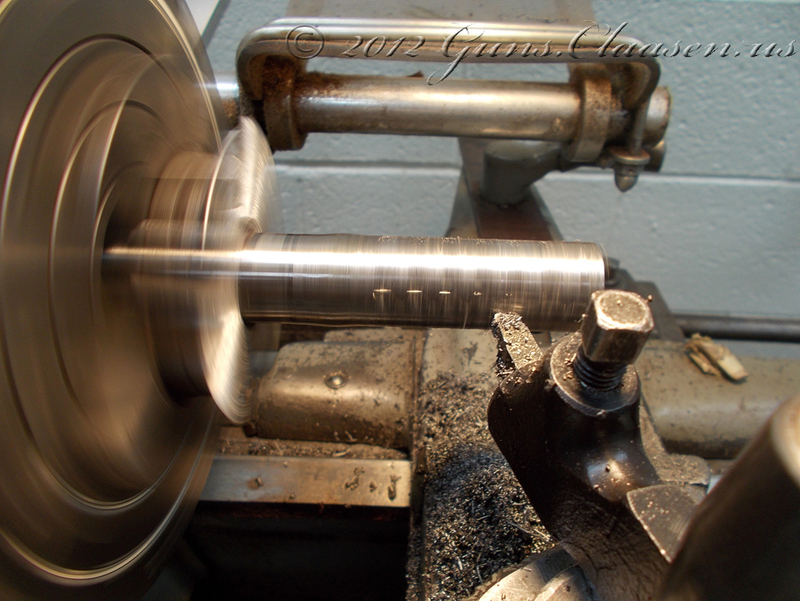 The barrel then goes back in the lathe (centered of course) the front of the barrel is then trued and a tenon is cut for the threads. After this I made sure the brake fitted. 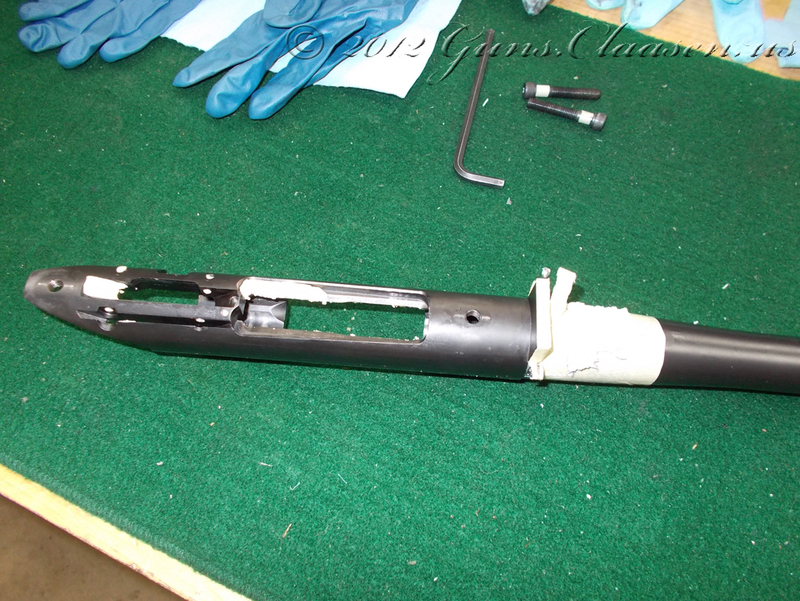 I then proceeded to cut the brake down to the approximate size of the barrel. 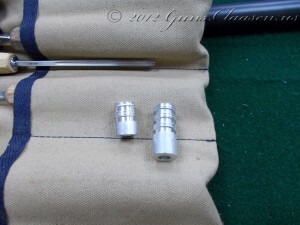 After I got the brake close to the barrel size, I polished it down to the same size as the barrel. This concluded work on this project for this semester. Thank you for reading along. Back to the Remington 700 project. 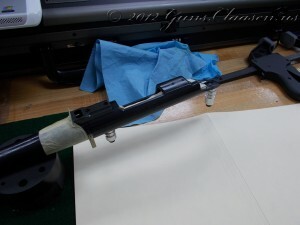 I finished the barrel and the blueprinting of the bolt and the receiver. It is now time to fit the barrel and test fire the rifle. 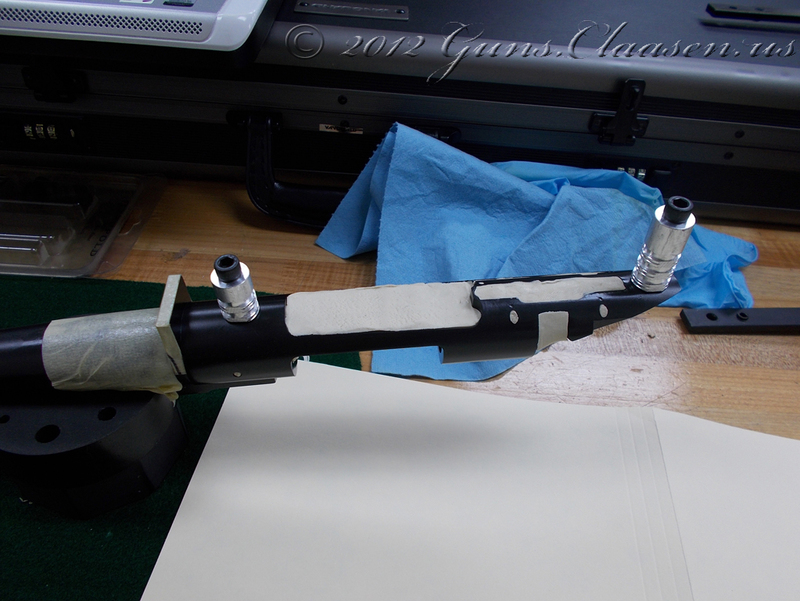 The masking tape you see in the photos is to protect the action from scratches. The Remington 700 receiver is easy to damage if twisted. 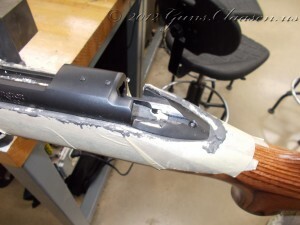 To prevent damage like this I use a wrench adapter that I made during our first semester. Once I installed the wrench adapter, I clamped the barrel in a barrel vice (yes, I made one of those in my first semester but the one you belongs to the school) and use an action wrench to tighten the barrel. Yes, the action wrench you see was a first semester project. 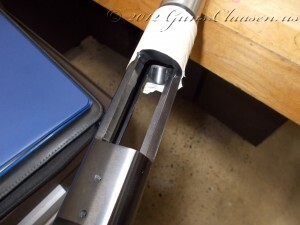 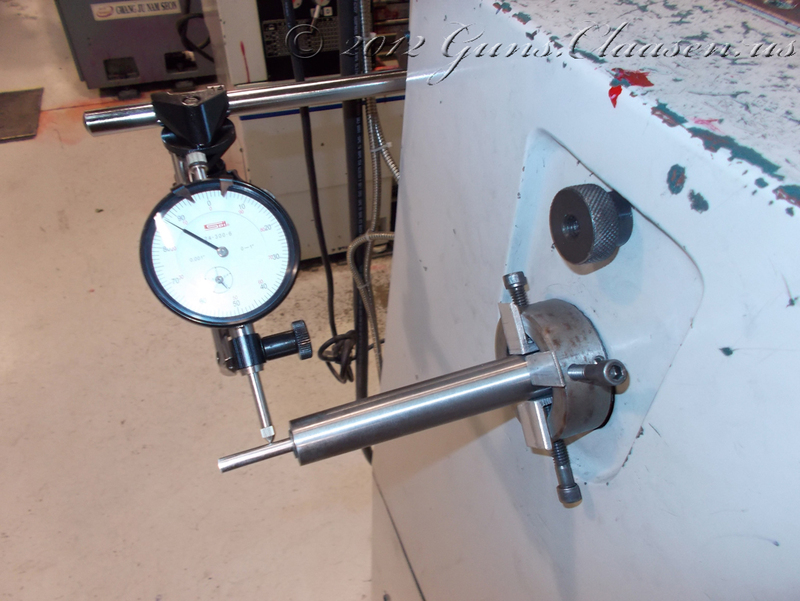 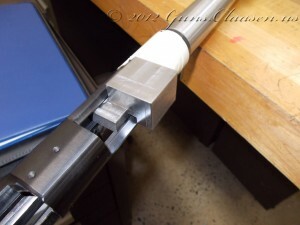 Normally, I would use an a tool to hold the recoil lug in alignment during this step, but it was not needed as the action would be removed from the barrel after the test fire. Once this was done, I installed the trigger and the rifle was ready to test fire. 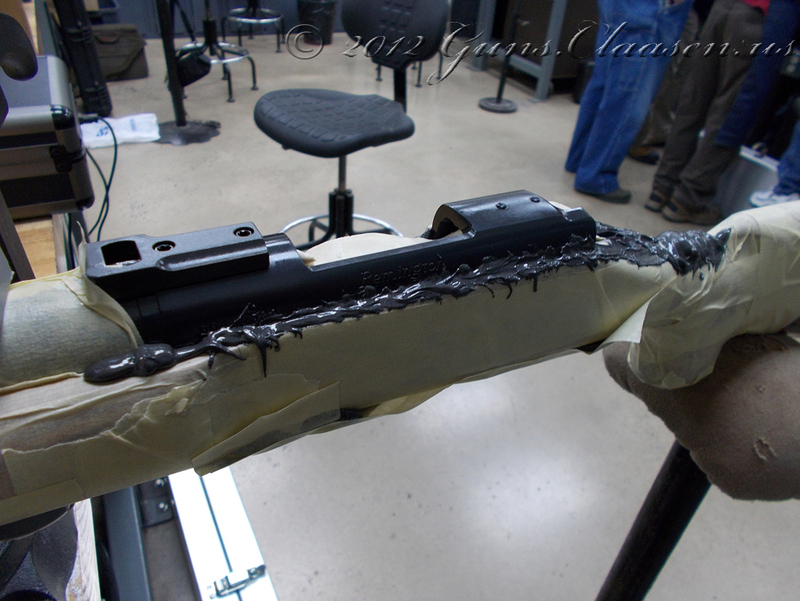 Next was the test fire! Test firing consists of three rounds fired from the rifle. 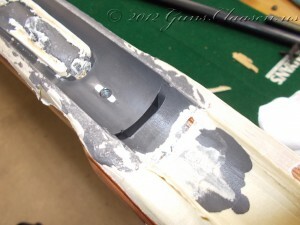 After the test fire, the cartridge cases are checked for expansion. 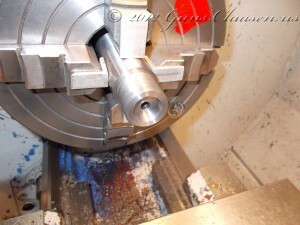 We are allowed an expansion of 0.002 inches (0.0508mm or 50.8 micron). Here is a video of the test fire. 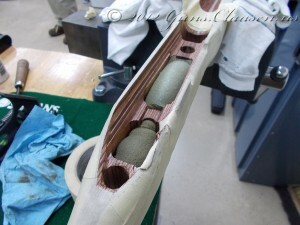 The results of the test fire was good. 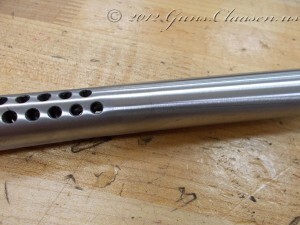 Zero case expansion. I am more than happy with that. 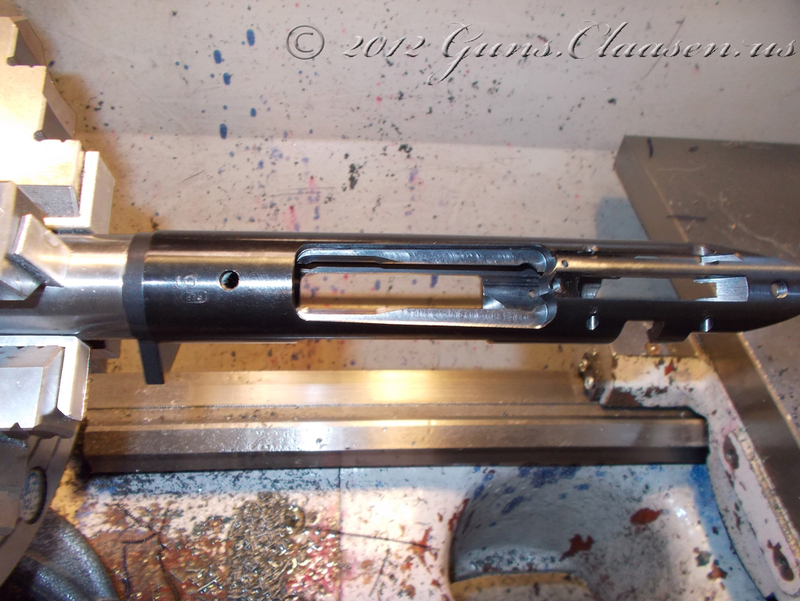 The next step for this rifle is to install a muzzle brake and I will detail that in the next post. 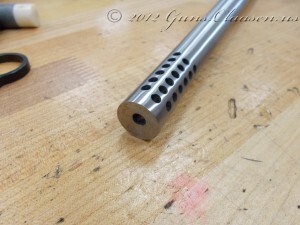 After finishing the action, I turned my attention to the barrel. 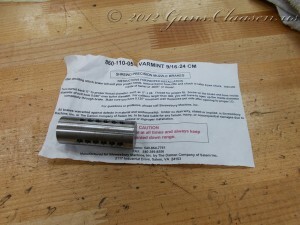 As I said in an earlier post, I purchased the barrel from Shilen. 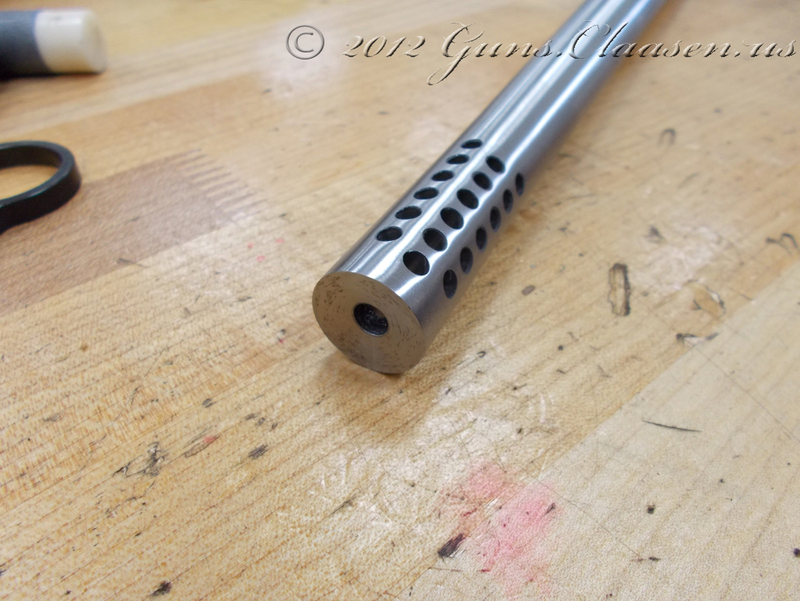 It is a #6 or lightweight target contour Match grade barrel manufactured from chrome-moly with a .224 bore with a 1:9 twist. 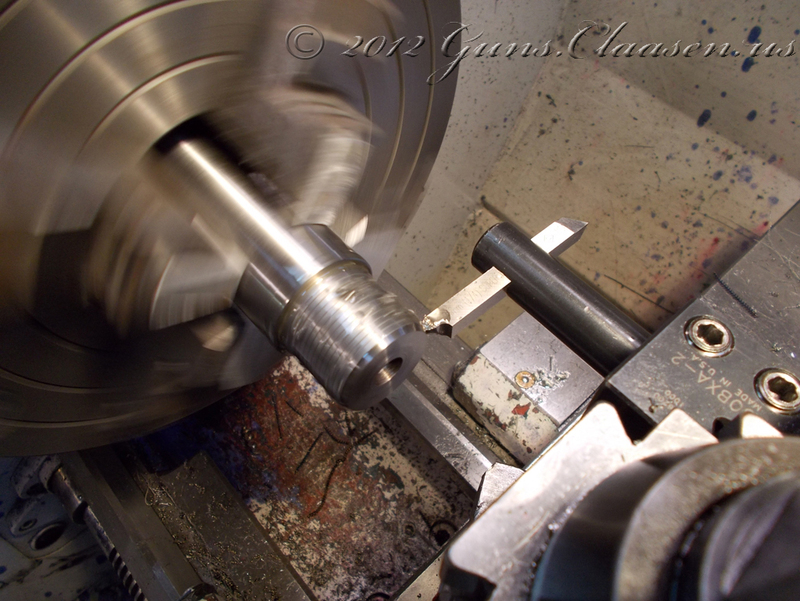 The first step is to mount the barrel in the lathe. 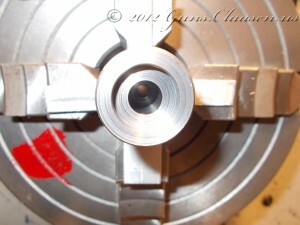 The barrel is precisely centered by the use of dial indicators on both sides. 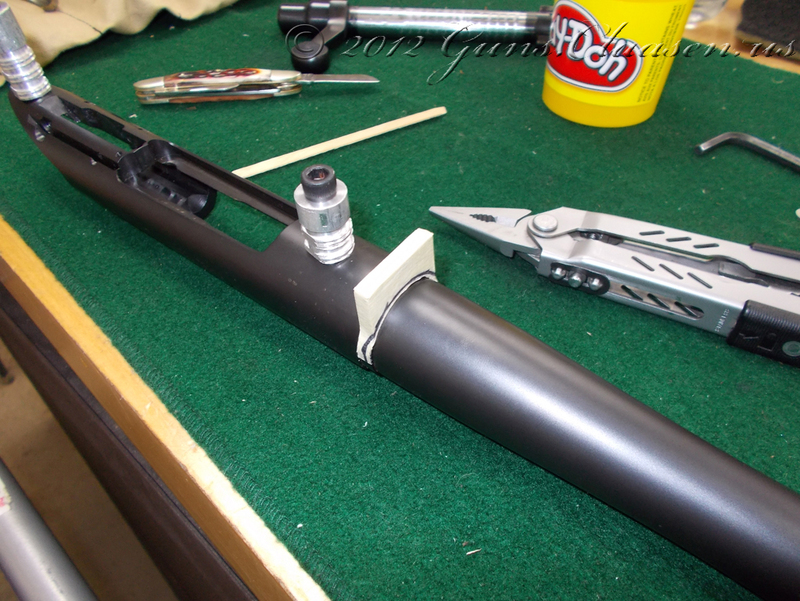 Again, this setup should be as precise as possible to ensure maximum accuracy from the rifle. 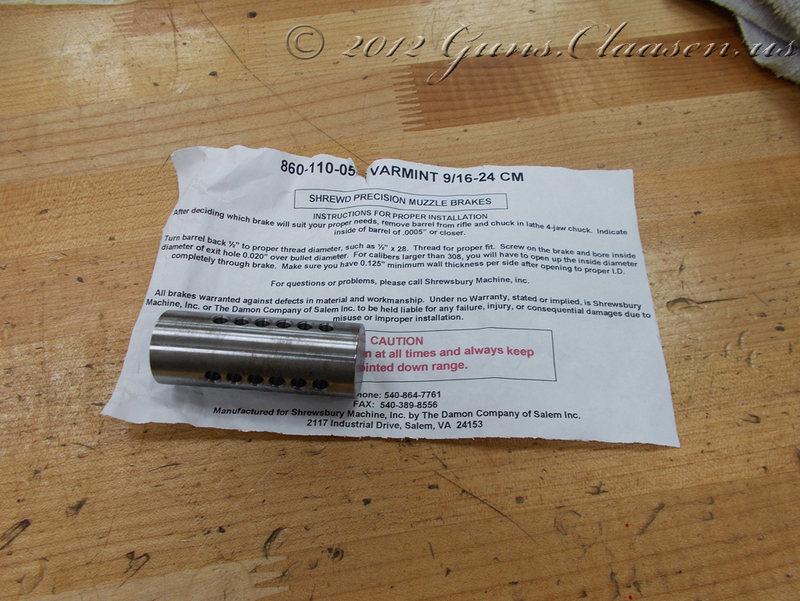 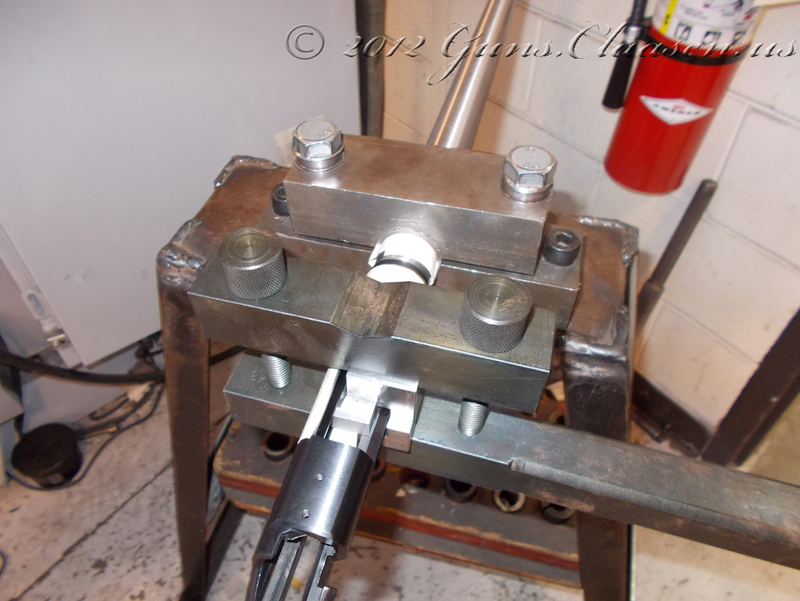 The pin seen inside the barrel fits tightly in the bore and is precision made. 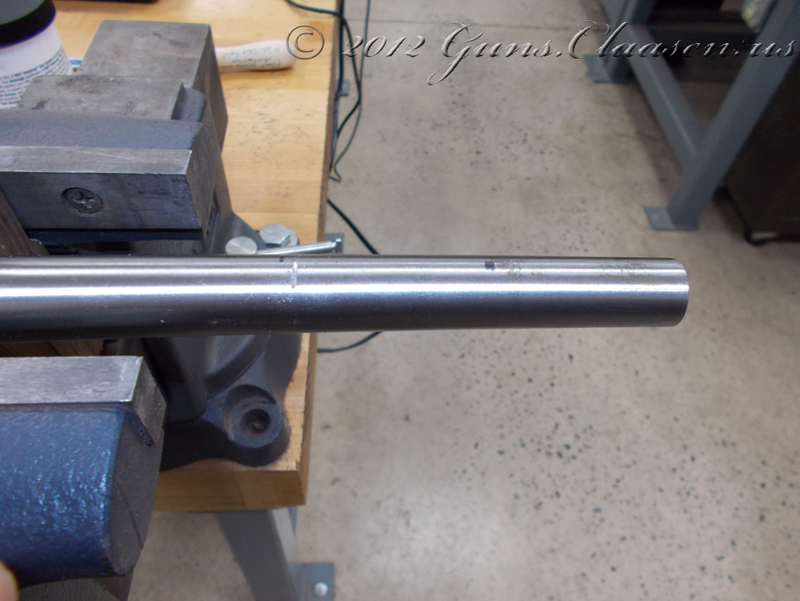 I managed to get the run-out on this barrel to about 0.00025 in (0.00635 mm). 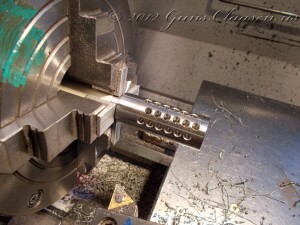 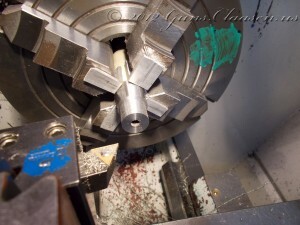 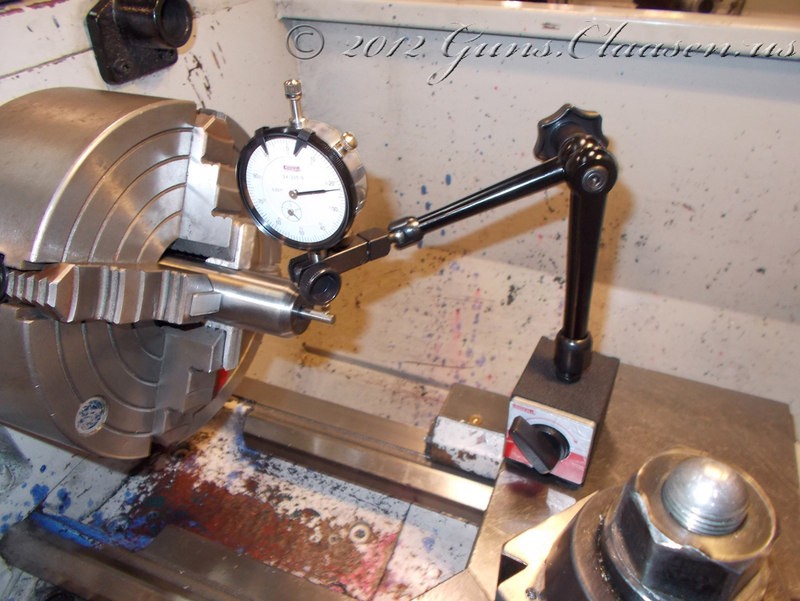 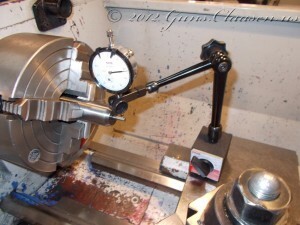 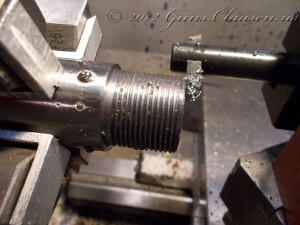 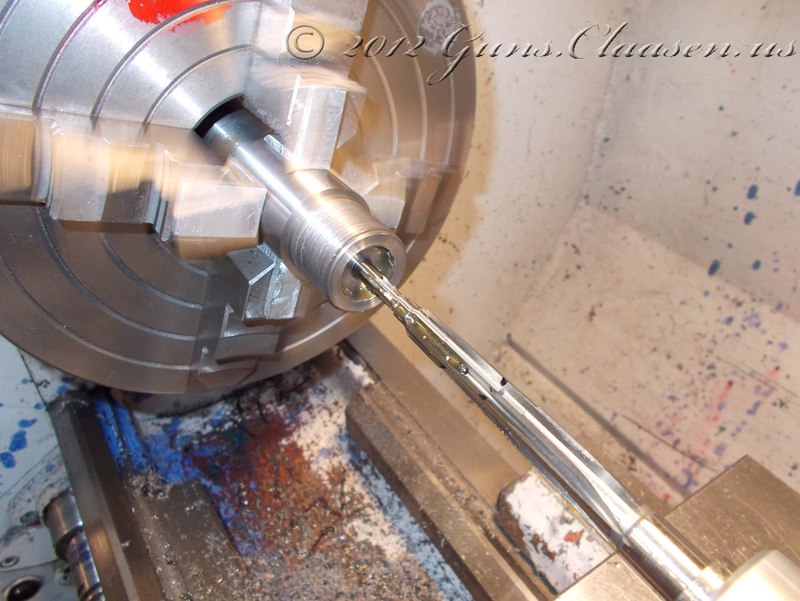 The first machining step is to face the chamber side of the barrel. 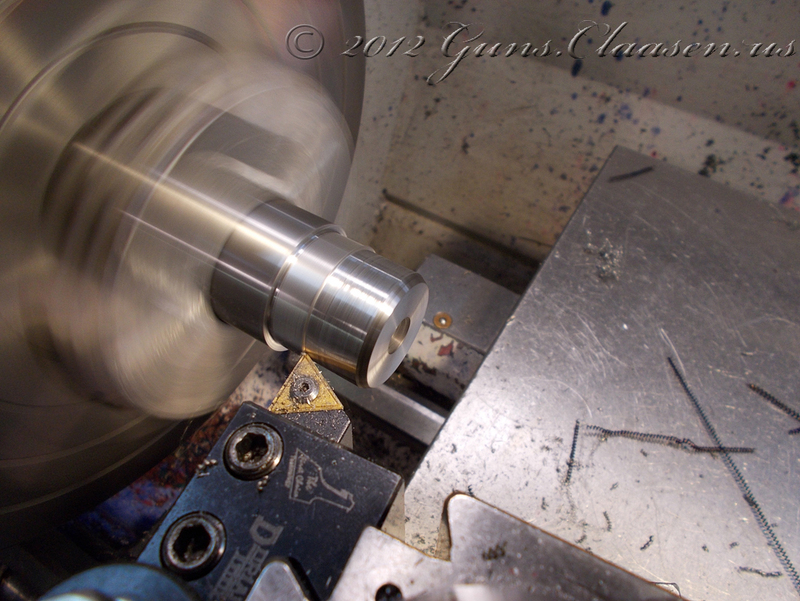 Then the tenon is cut. 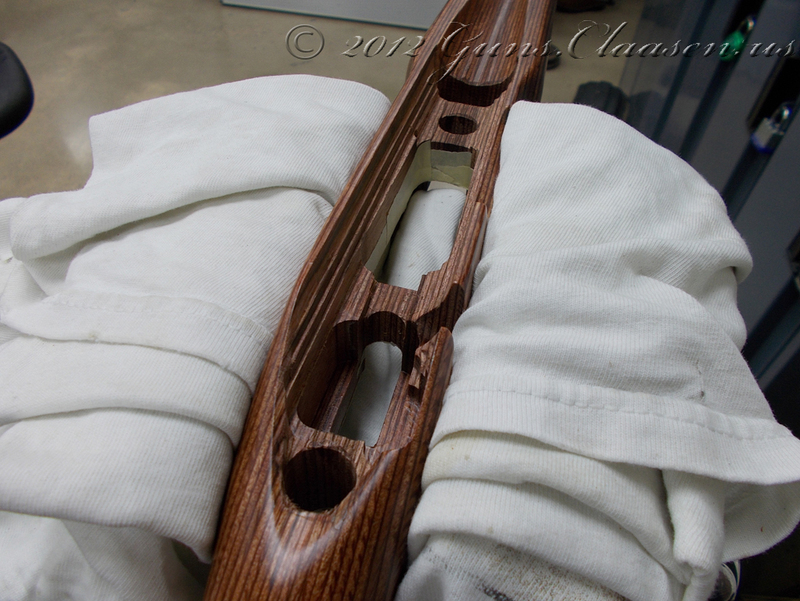 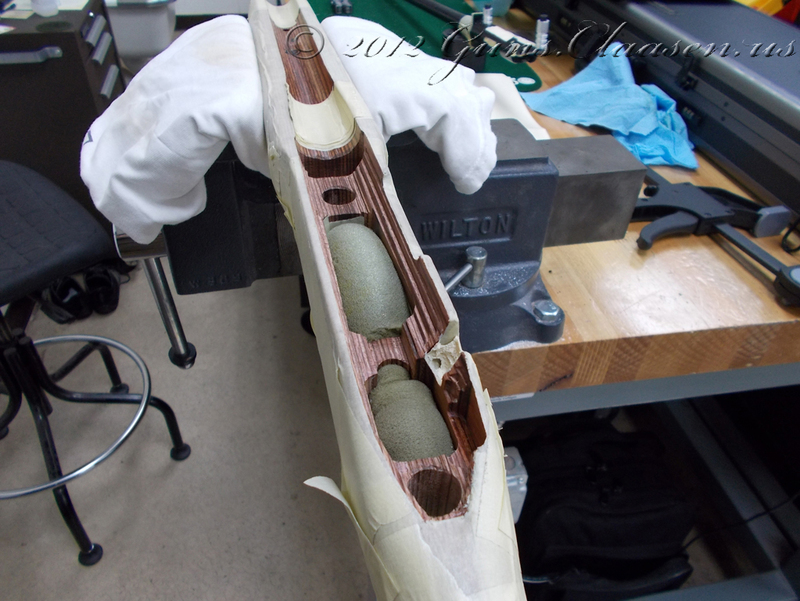 This is the section of the barrel that will thread into the receiver. It is turned down in size until the recoil lug will fit. The next step is to cut threads into the tenon. 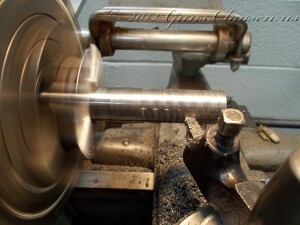 I prefer doing this at the back of the lathe and to cut the threads away from the work. Doing it this way is better for me as it is more difficult to make a mistake by pulling the cutting tool away from the work too late and running into the tenon shoulder. 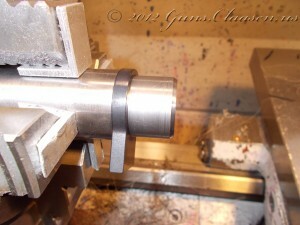 For me, it also makes the threads look better where they stop on the tenon. 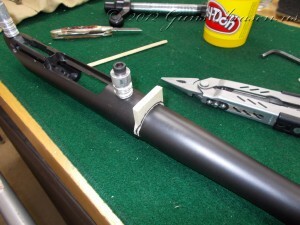 Yes, I know once the rifle is put together, it will not be visible. Of course I need to check that it all goes together. 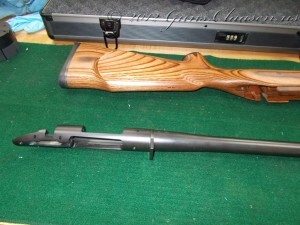 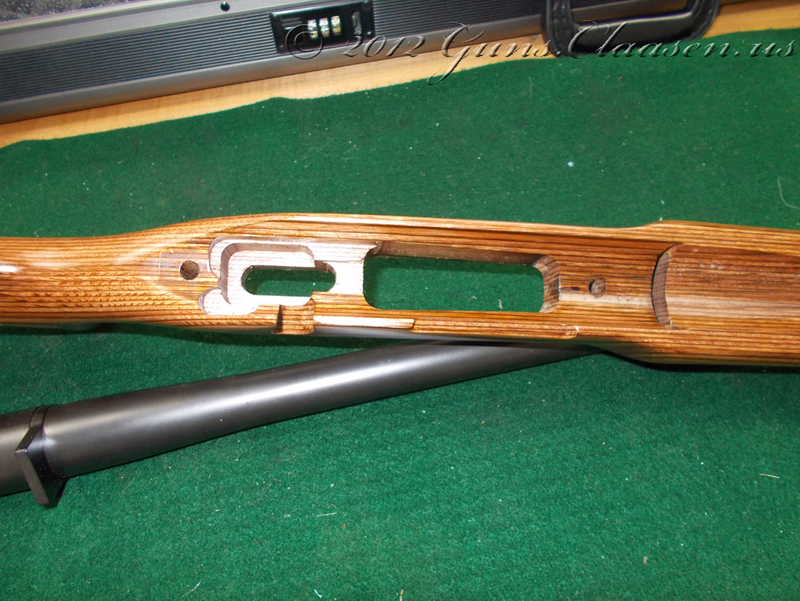 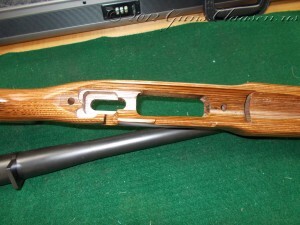 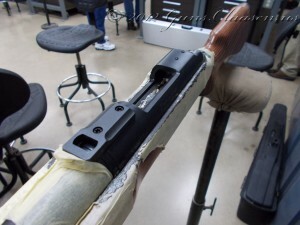 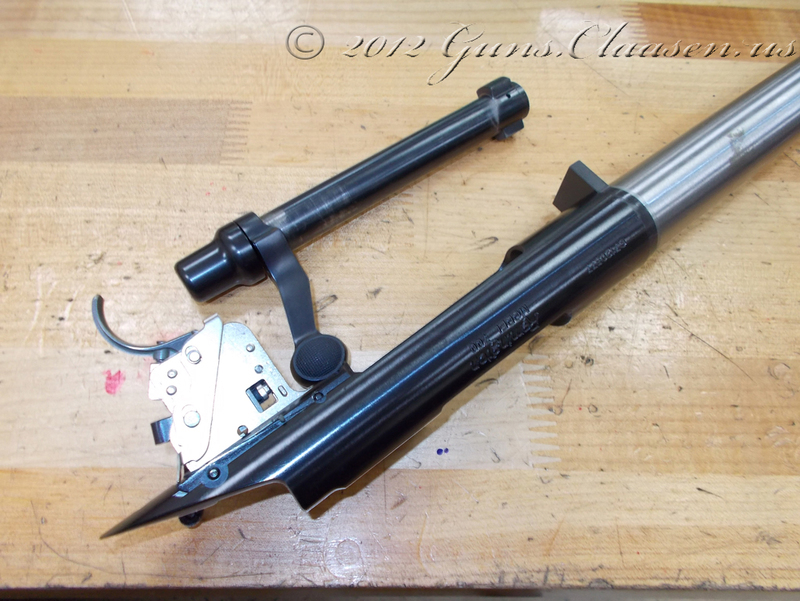 The design of the Remington 700 call for the barrel to be counter-bored. 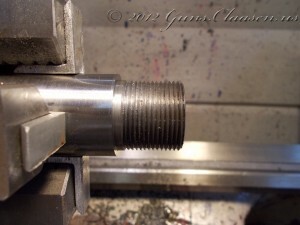 This is where the bolt will actually fit and the reason the front of the bolt lugs was trued. 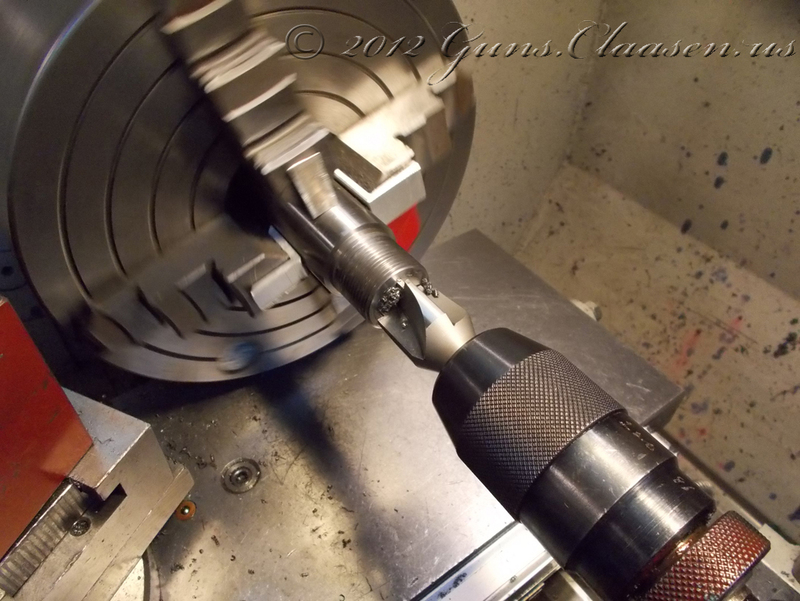 This is a fairly easy step if you have the correct counter-bore tool. 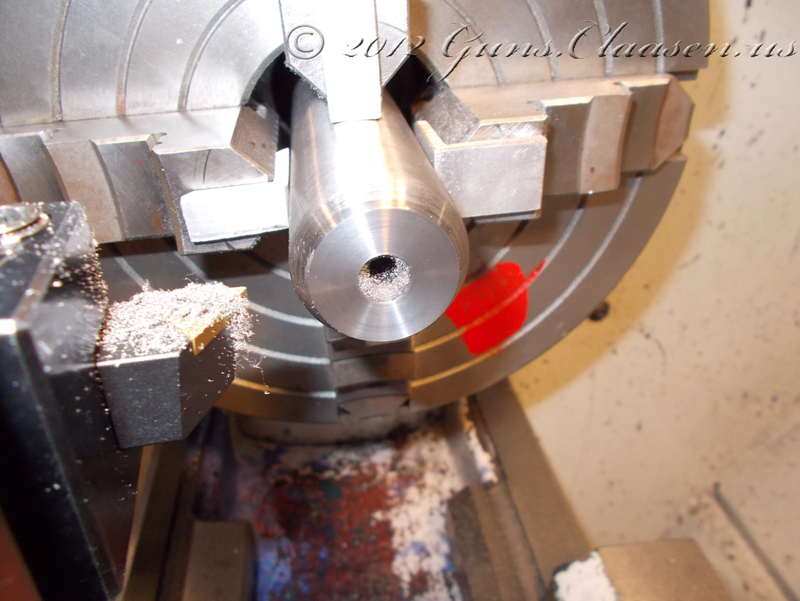 Now it is time for the most critical step, cutting the chamber. This is a slow process as the reamer (the cutting tool) has to be pulled out constantly to clean both it and the inside of the barrel. There is also two reamers used in this process, a roughing and a finishing reamer. 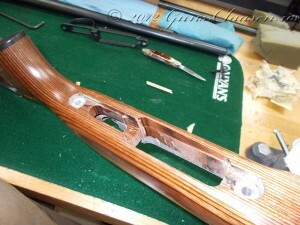 Some time later it is finished! 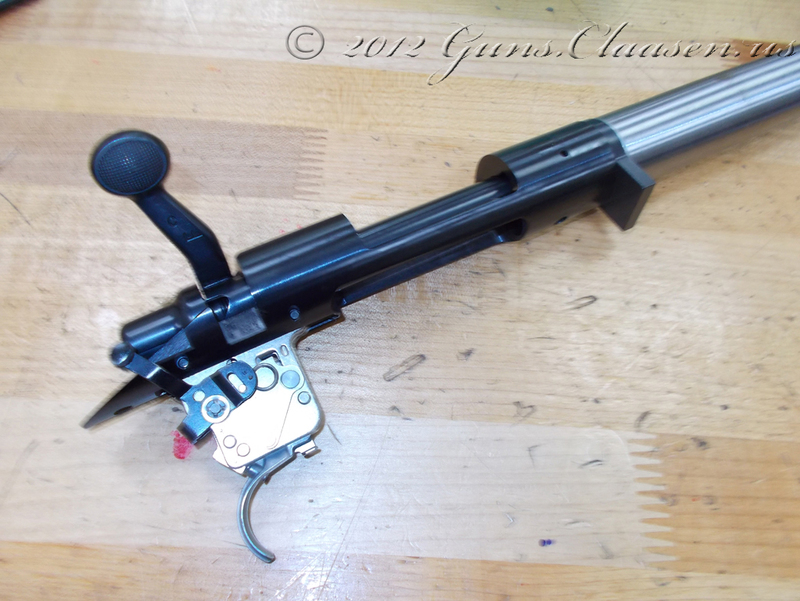 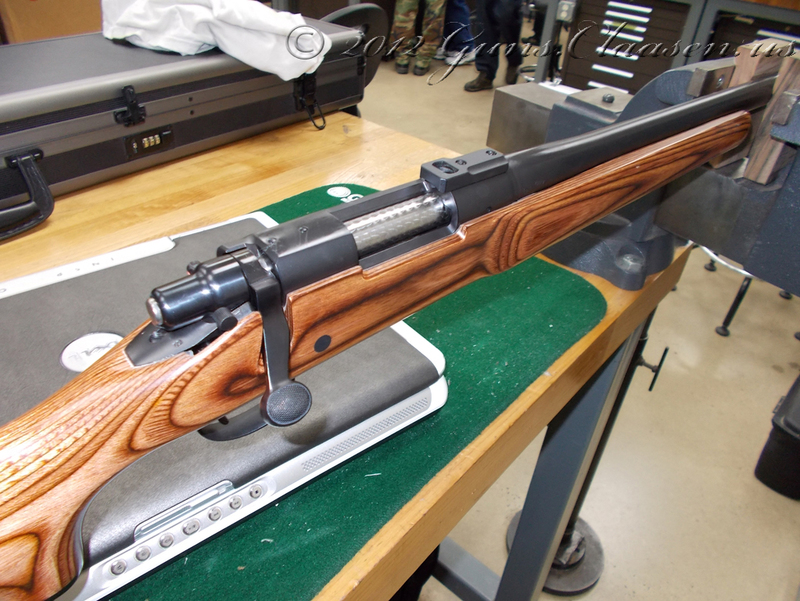 In the next post on this build, I will attach the receiver to the barrel, assemble the trigger and test fire the rifle.